Nor’Banks will open for the 2019 season on May 15th! Had an incredible time tubing with Sean. Professional, friendly, and energetic. Really enjoyed it. Can't wait to come back! Edit: We came back a few days later because we enjoyed it so much. Once again we had Captain Sean. The water was a bit rough, but Sean maximized our fun, while also keeping us safe. Thank you! Nor' Banks has a brand new facility including a gift shop, showers and even a restaurant that is as nice as your going to find. A one stop shop that gives you your money's worth! Sean, Jamie and Meg are super friendly and professional. We will be repeat customers! Didn't purchase anything from here. But the staff and owner were very honest with me about where to put my boat in the sound. They could've told me that sure you can put in here the waters deep enough but instead they said to go to public landing in Nags Head area the waters deeper there and fishing is better. 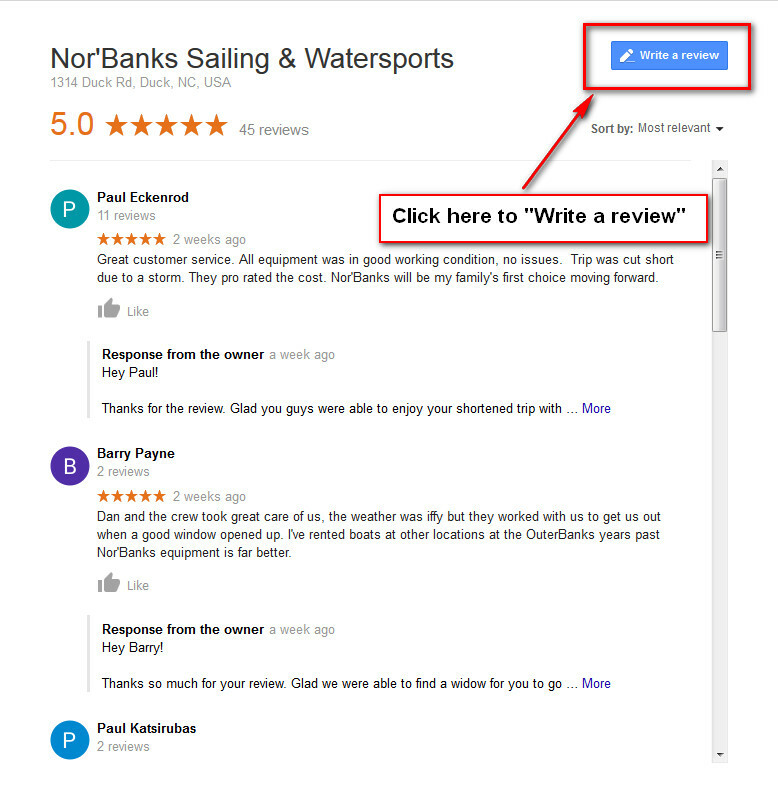 I would recommend Nor'Banks to anyone looking for water sport activity. They do have a boat ramp and are willing to let you use it if your boat can get on and off the trailer easily in low water levels.. Took a family of 6 out tubing with Captain Sean. Had an awesome time. Sean knew had to mix it up and make it fun for a seven year old to 15 year old. Thanks for the great memories. If going tubing ask for Sean. He’s the best. Wonderful Experience. The crew was very professional, yet playful. I was nervous before boarding the boat, but once we got on and the crew started to talk, I felt safe and in good hands. Jamie and Ken were a lot of fun! HIGHLY RECOMMEND!! Parasailing is checked off the bucket list now!